Do you look forward to Valentines' Day? Do you have any traditions or expectations? I'm not much of a flowers, or candy, or even jewelry person. I usually just request some sort of handwritten note, that I treasure for weeks to come. Traditions aside, your significant other will thank me later: you should definitely make THESE for Valentines' Day dessert! 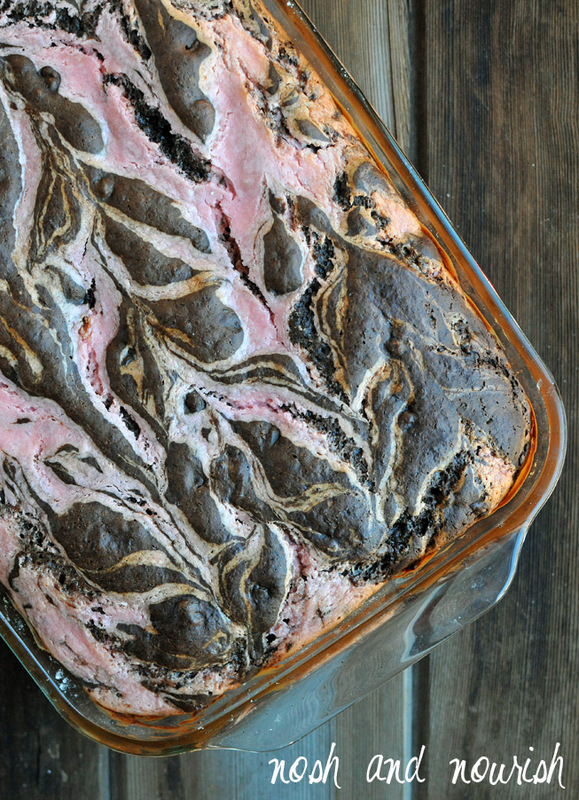 ---> Guys love these brownies. I mean really really love them. Like beg you for seconds and thirds. Like sing praises about what an amazing cook you are, even if you don't make anything else for weeks. They're that good. I promise. Oh, and girls like them too. 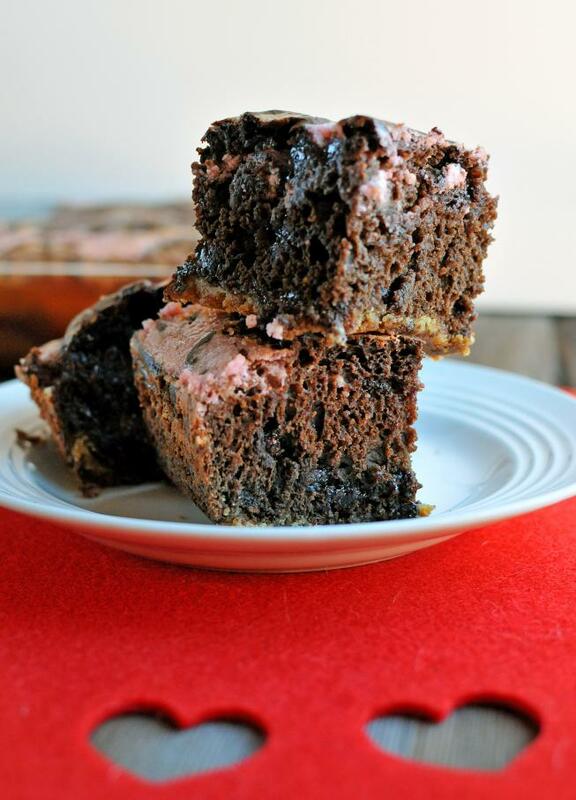 They are absolutely delicious and decadent, with layers of brownie batter and cream cheese. 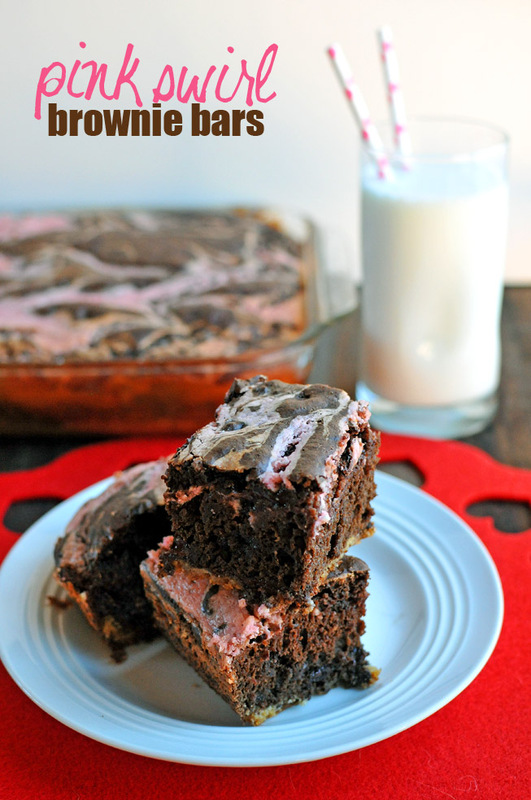 Pair them with a tall glass of milk (cute pink straws, optional) and you have a perfect Valentine's dessert. And isn't the swirling beautiful?! 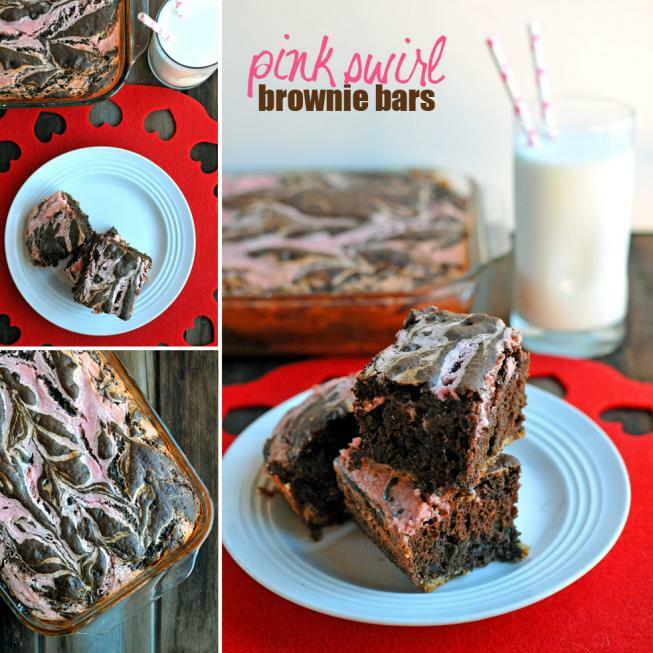 Your loved ones will LOVE these brownie bars. And you will love how easy they are to make. So, time to get baking! Combine the chickpeas and almond milk in a large mixing cup. Use an immersion stick blender to puree the chickpeas until smooth. In a large mixing bowl, add chickpea/almond milk puree, coconut sugar, cocoa powder, vanilla, and eggs. Stir thoroughly. Then, in a separate bowl, mix dry brownie ingredients: flour, baking powder, and baking soda. Combine with the wet ingredients. Stir in the chocolate chips, then set the brownie batter aside. Prepare the cream cheese batter by combining cream cheese, greek yogurt, vanilla, sugar, egg, and pink gel (optional). Use a hand mixer to beat until smooth. Spoon 2/3rds of the brownie batter in the 13 x 9 pan. Then, spoon all of the cream cheese batter on top of that. Finally, spoon the final 1/3 brownie batter in clumps, leaving a lot of the cream cheese batter showing through. Then, take a knife and run it through the batters to "swirl" the brownie batter and the cream cheese batter. I ran the knife left to right, then, up and down, then repeated one more time. Bake for 55 minutes, or until a knife comes out clean.